← RECOMMENDED: Carpineto Dogajolo Toscano, 2011 Rosé of Sangiovese. 12.5%. Available for as little as $9.95. While the artisinal winemakers in the Portland area blew my mind, “kindred spirits” are burgeoning as well, from craft bourbon and other spirits to craft beer/ale/stout breweries. According to the Brewers Association, by the end of 2011, there were 1,938 craft breweries in the United States, with more than 40 in Portland. 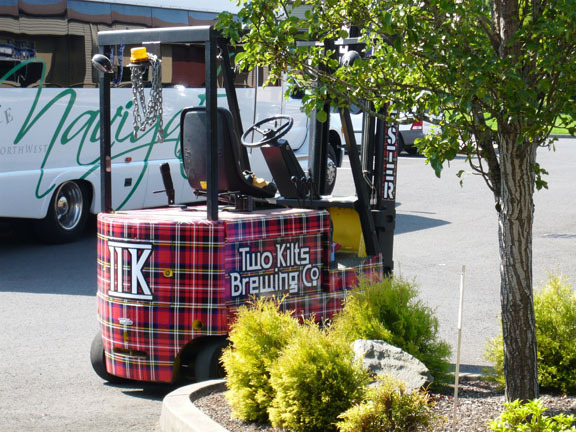 We were privileged to visit the Two Kilts Brewing Company during the Wine Bloggers Conference in August. 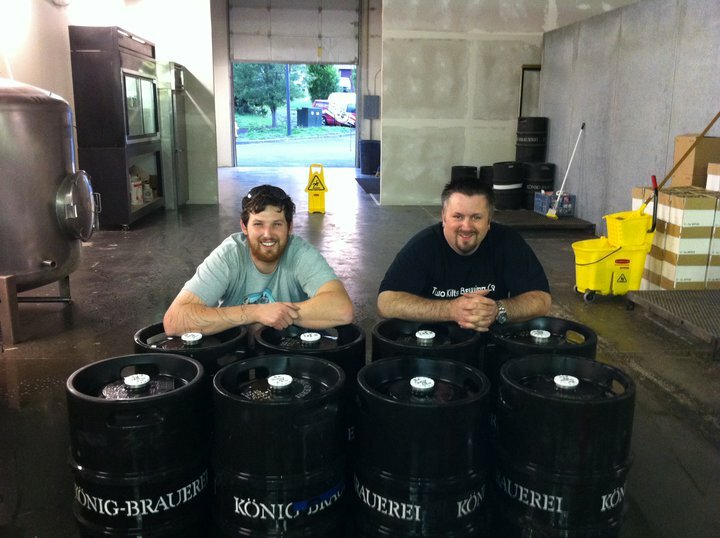 Two Kilts is run by two guys named Chris and Alex who have been passionate about beers for years. Their vision grew into their microbrewery and pub, and in March they announced the beginning of their bottling program, with their Pale Ale being the first to be bottled and distributed. Pale? Me? Hmmph, gimme a Stout. That said, I can’t handle a pint of the stuff anymore, as it is … well, stout. 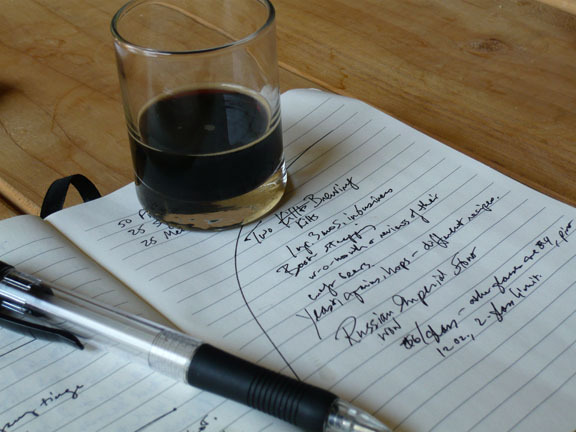 The sample of the Russian Imperial, pictured here with my notes, was just amazing. Apparently many people respond the same way: normally a serving of Two Kilts is a pint (16 ounces) at $4, but the Russian Imperial costs $6/glass, is only 12 ounces, and each imbiber is limited to two glasses. Just yummy. We were treated to wonderful and imaginative Asian burritos and tacos by Koi Fusion, which creates fabulous mashups of Korean BBQ with Mexican cuisine. This entry was posted in Beer, Oregon, Pale Ale, Restaurants, Stout, Travel. Bookmark the permalink.